Now back in the studio after the marathon of an arts festival, followed by a couple of weeks holiday, I am beginning to paint again. I was able to plan all sorts of ideas during the festival and have a sketchbook full. The difficulty is deciding which ones to start! I have added all the Pittenweem paintings on my Gallery page and a couple of the unsold ones on my Paintings in Oil page. Please get in touch if you would like to be included in my next newsletter mail-out or are interested in purchasing a painting. 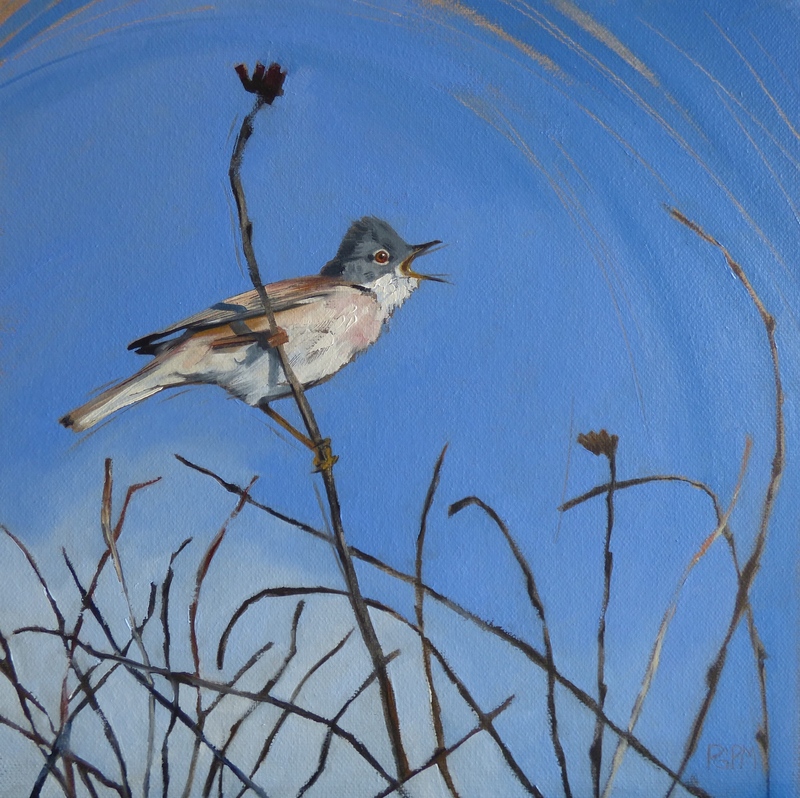 Whitethroat, as seen singing from the top of a bush beside the beach at Kingsbarns, oil on canvas, 30 x 30cm.